Welcome to The Ton Spring 2018 Release Blog Hop! 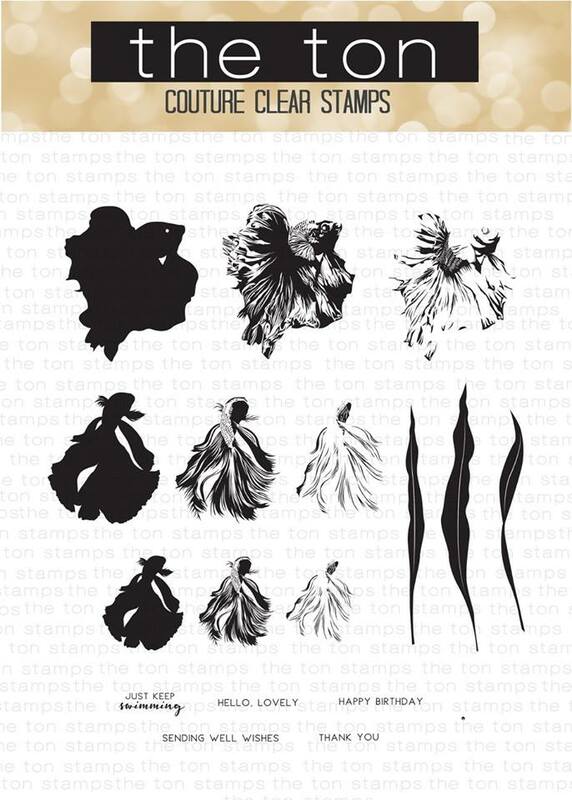 For The Ton Spring 2018, Effie has released 14 new stamp designs (+ coordinating dies) and 3 standalone die sets! 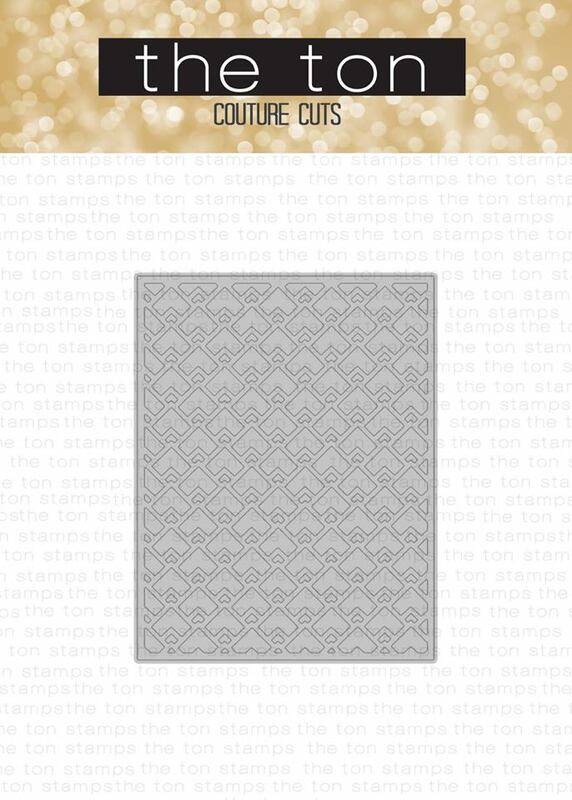 We have two free gifts with *qualifying* purchases for this release - Toned Squares and Nesting Peonies. This promotion does not apply to prior purchases***. The threshold amount is calculated before taxes and shipping. This promotion will continue until April 10, 2018 at 11:59pm EST or until supplies last. 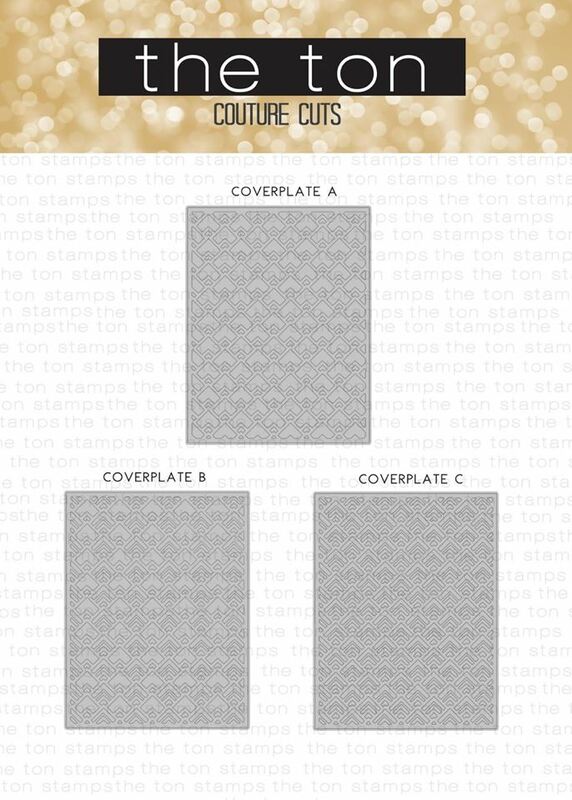 Limit one incentive package per customer. No coupon code needed. All incentive products will automatically be added to qualified orders (they will not show up in your cart but will be added to orders as we pack them). You should have arrived here from Laurel Beard's blog. But if you missed your track, please head over to The Ton Blog. Spend $250 or more: Receive a 6x8 Toned Squares set (and a Nesting Peonies set). 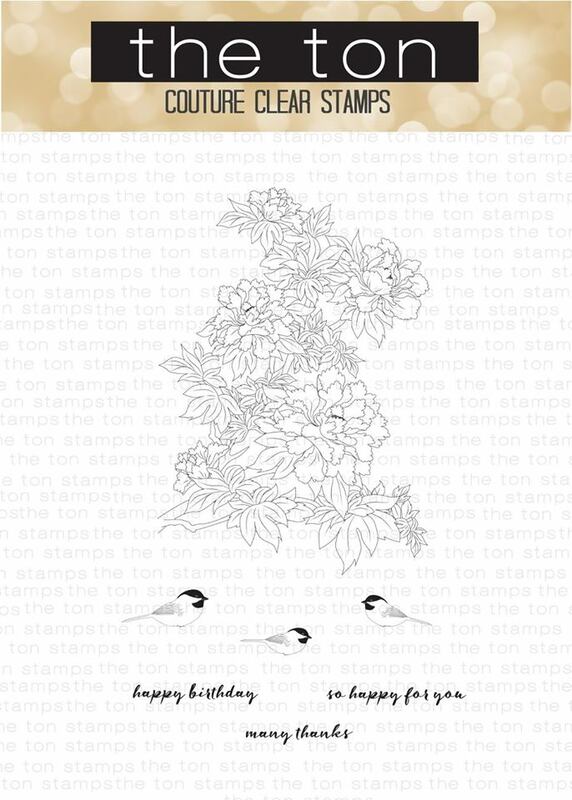 **There must be a new Spring 2018 Release stamp in your order to qualify for our GWP promotion. ** These GWP products are available for immediate purchase. 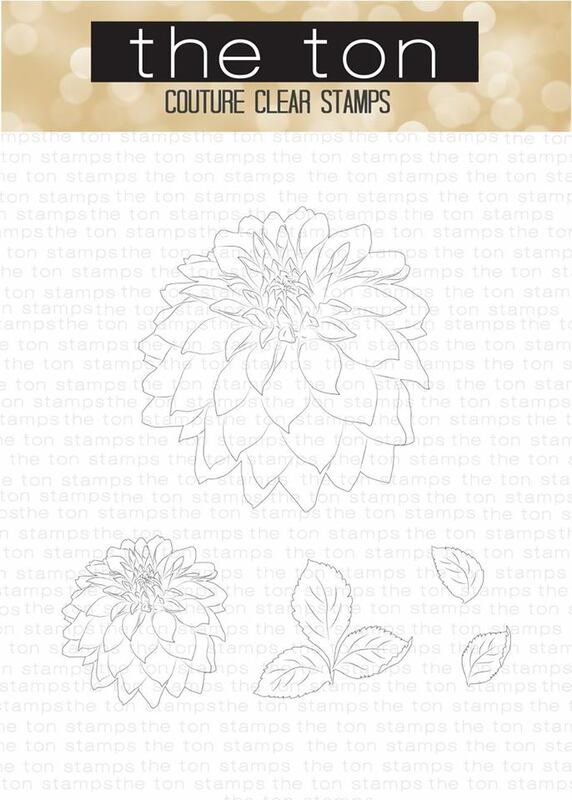 To create my card I used Peony Laurel stamp set and Pop-Up Peony Standalone Dies. At first I created the front of my card using the edge die cutting technique. 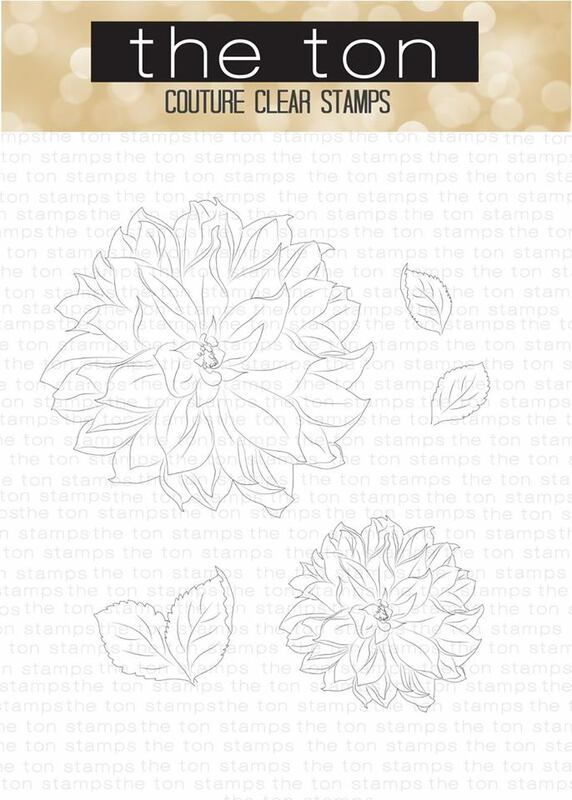 Then I stamped an image from Peony Laurel stamp set onto a piece of white cardstock, colored it with Copic markers and Faber-Castell pencils and cut it out. 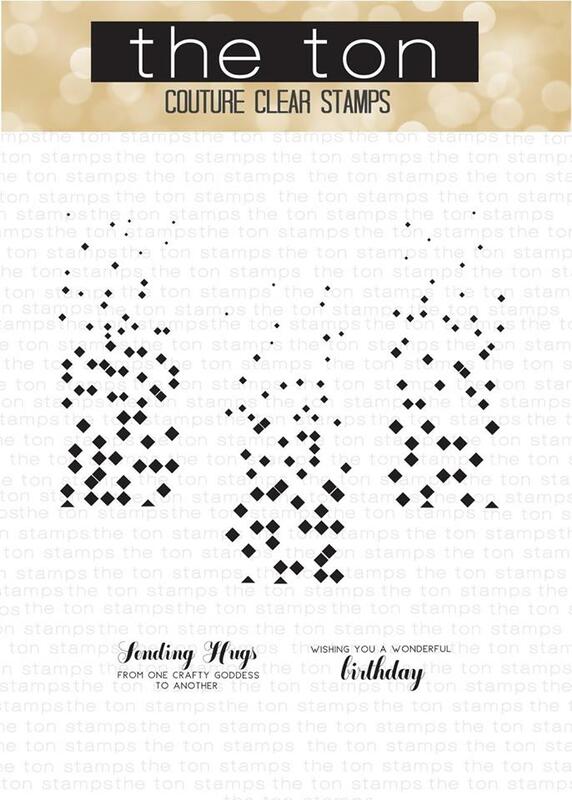 Next, I stamped the sentiments from Celebration Rose Cluster in Noir and Smoky Quartz. 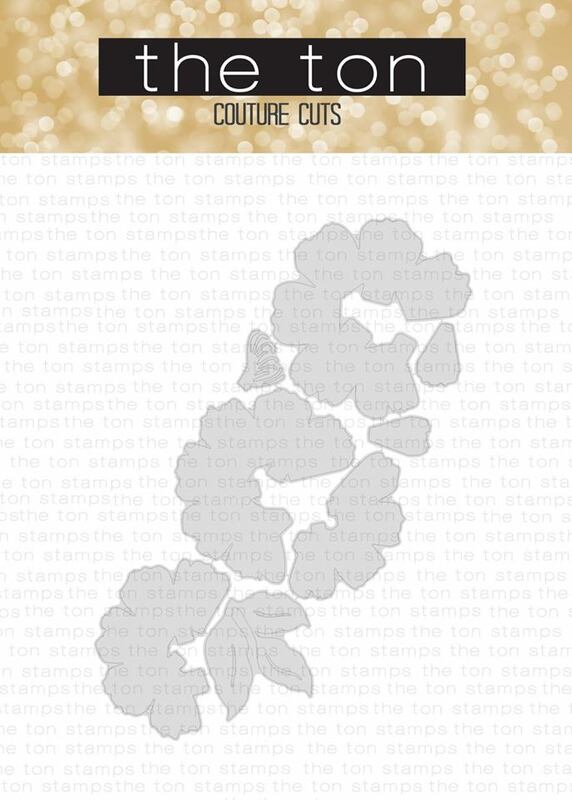 I attached the flower image to my card and added a few sequins from Queen Anne's Lace Couture Mix. You can see the new Pop Up Peony I created using Pop-Up Peony Standalone Dies (I used lighter weight paper (not cardstock))inside my card. 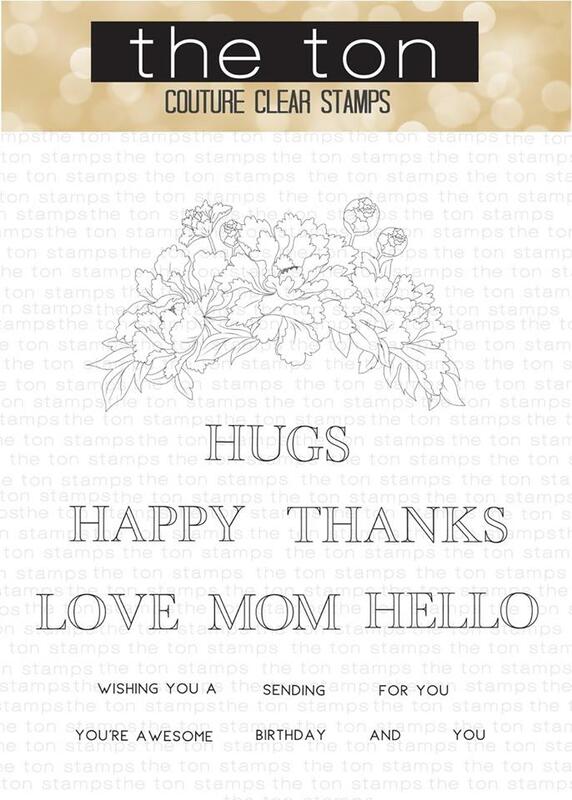 I stamped the sentiment from The Most Interesting Cardmaker 2.0 inside my card and ink blended Arctik Sky Dye. ALL NEW RELEASE ITEMS ARE AVAILABLE IN THE SHOP NOW. 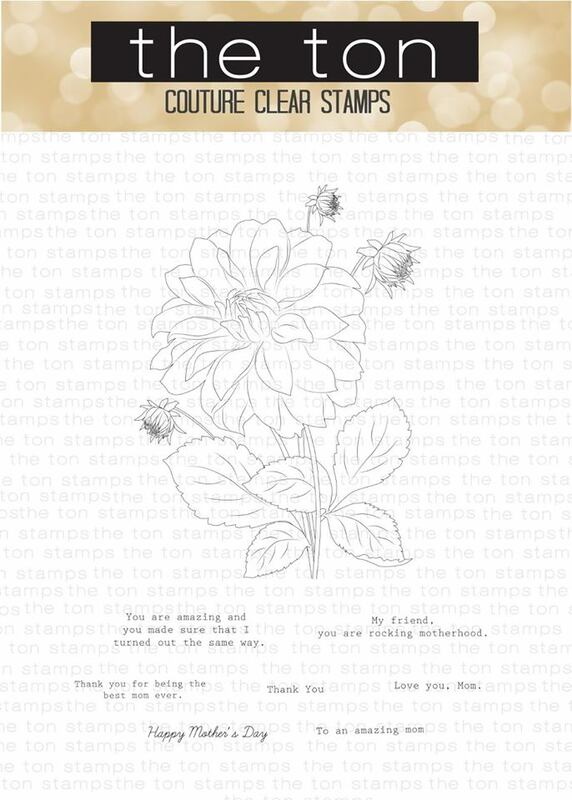 Three new release stamps will be given away to random commenters from the hop participant blogs. 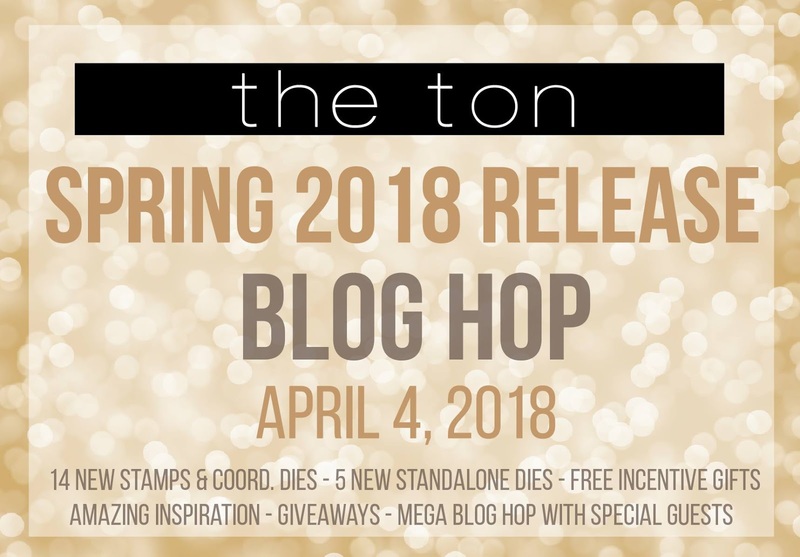 To qualify, you must leave a comment on The Ton Blog Hop post. The comment period will close on Friday, April 6 at 5pm. Winners will be announced thereafter on The Ton’s blog. Your next stop is Kay Miller's blog! Thank you so much for stopping by!!! Have a wonderful day!!! Great cards. That pop up one is so cool!! 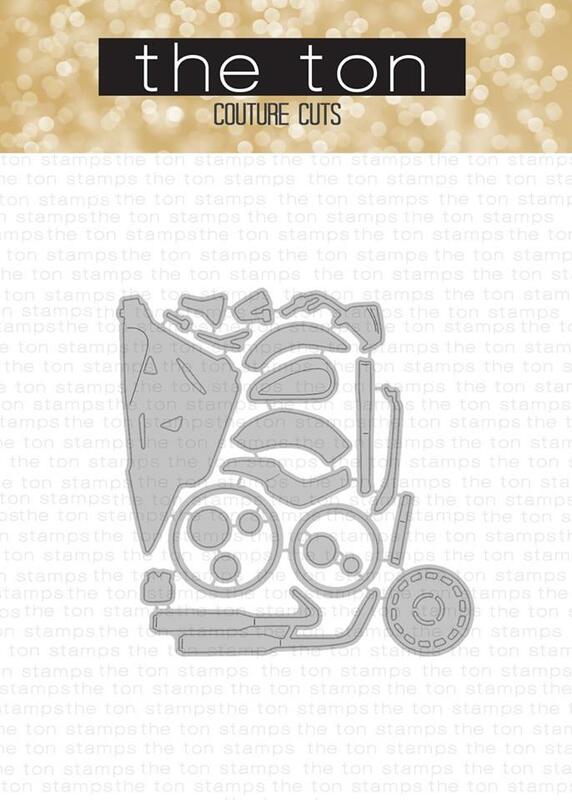 Love what you've done with the stamp and die sets. 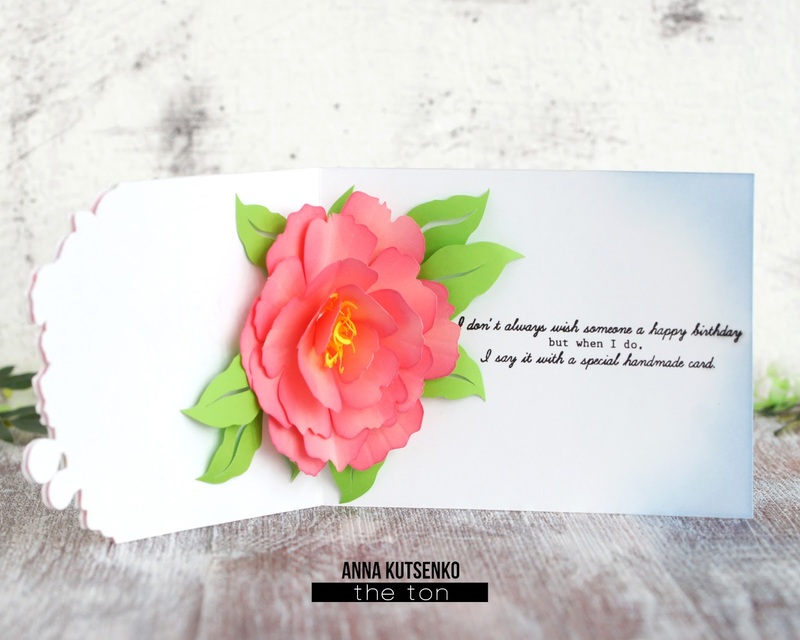 Love your cards, especially the pop-up peony! Gorgeous on the inside and out. 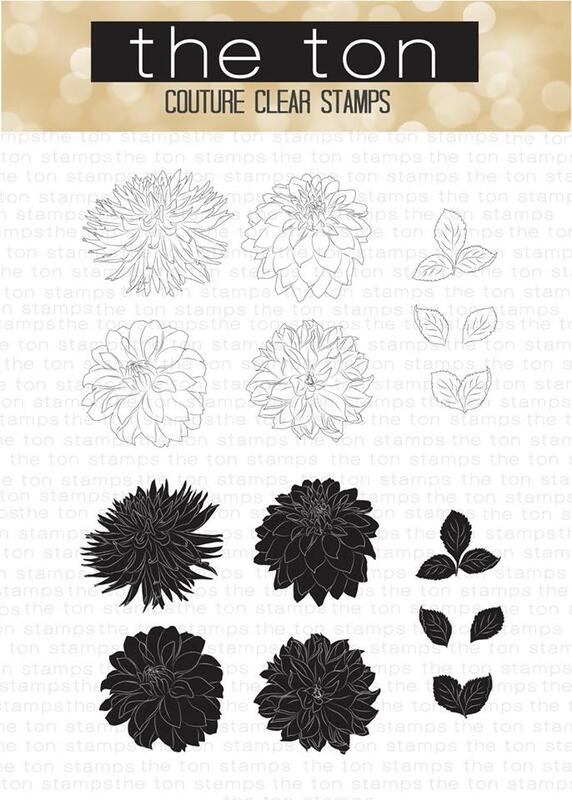 Loving the pop up peony, one of my faves, but I LOVE the way you placed your dahlias on the first card! Interesting and fresh! Very creative approach to the dahlias! Such a beautiful card, and the pop-up peony is such a treat! That pop up peony is amazing!! Love your cards! Such lovely cards! The pop-out peony is so fun and unexpected. The first card is so light and delicate, beautifully colored. 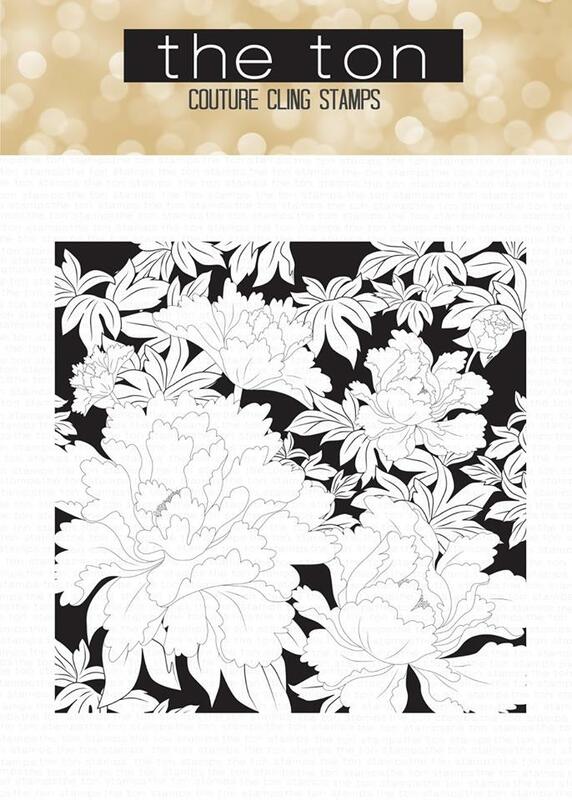 Love how you used the peony laurel image! Really beautiful. That peony laurel card takes my breath away! That pop up peony makes THE most special card. And the Peony Laurel is my favorite set. 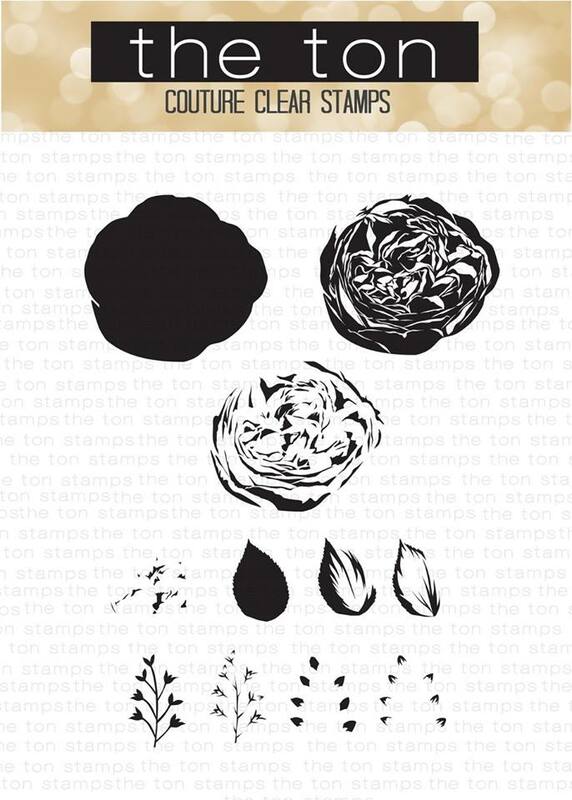 Your peony card is just the best. Very creative and beautiful. Beautiful! Love the pop up peonies! Beautiful Cards, I love them Both!! Thank you for sharing!! Oooooh wow, this just made me gasp! So beautiful - love your design, your colouring, and don't even get me started on the "surprise" inside. That's absolutely awesome! This is fantastically beautiful. You are so tricky with the pop-up! Great card. 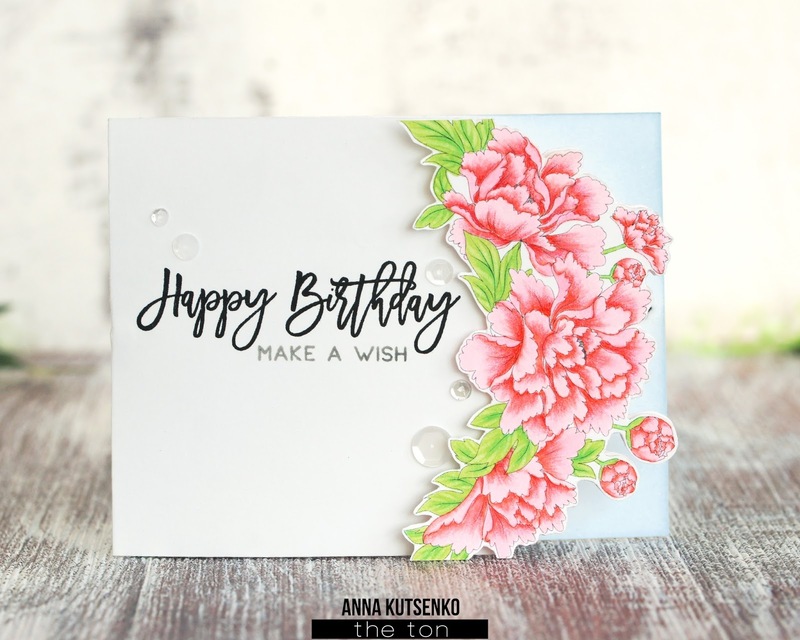 Two beautiful floral cards! 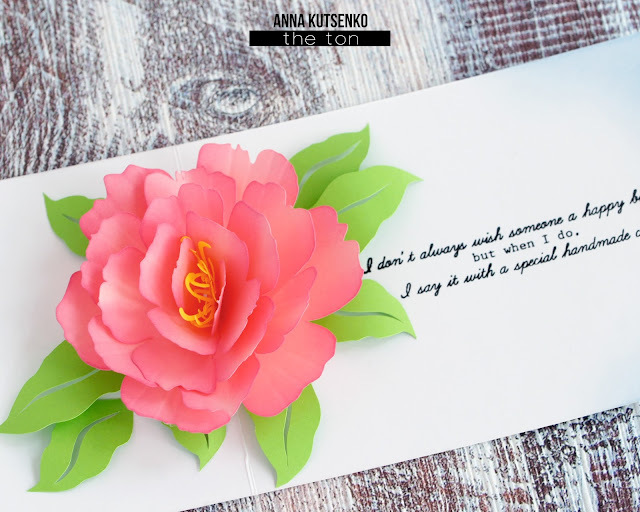 Love your coloring on the peony laurel and that peony pop up card is awesome! Love your cards! the pop-up peony is just too sweet! Love these gorgeous, unique cards. Beautiful. That pop up peony is beautiful! Beautiful cards! I love your coloring on the Peony Laurel. So pretty - love the pop up peony. 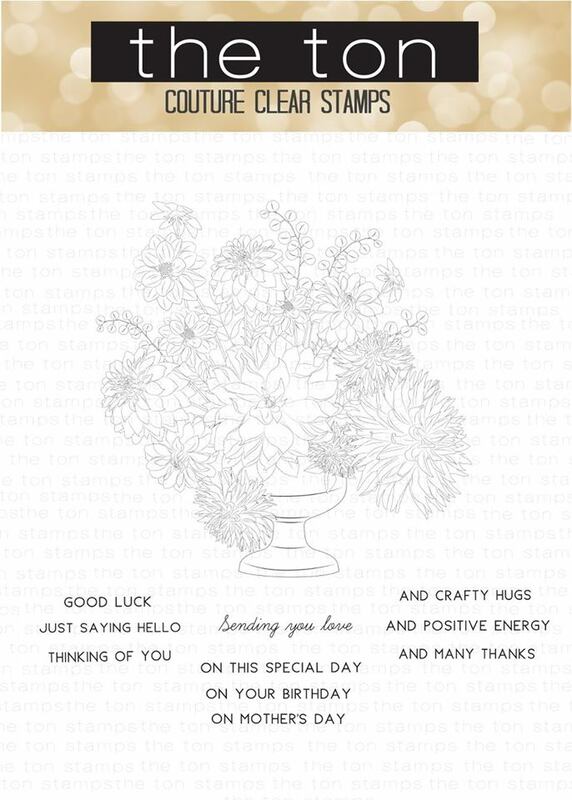 Beautiful card with such sweet details. Beautiful cards. Love the fold out flower inside. Thanks for sharing. 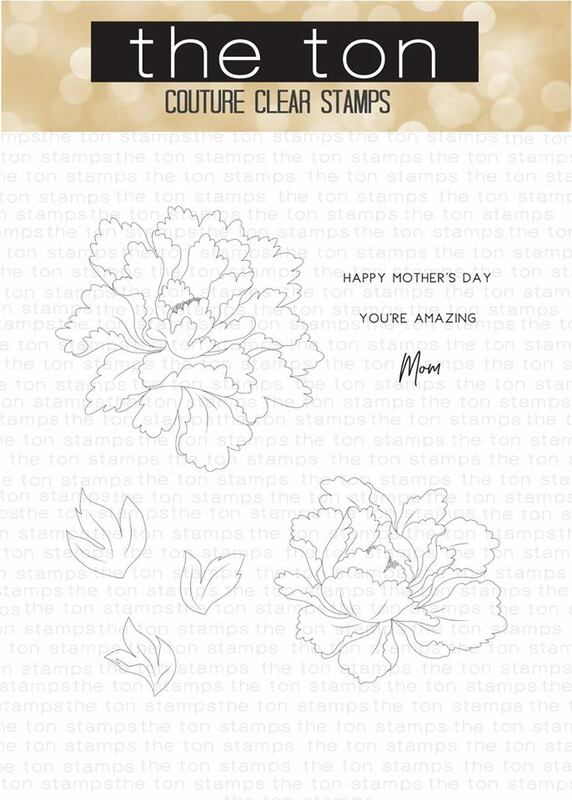 Love the peony laurel card. That peony pop up is so fun! Wow, that is one special card. The pop-up flower looks so delicate in those colors - really nice! Wow, this is a gorgeous card inside and out! Super beautiful card! I just totally love the floral popup! The 3D rose is amazing! So pretty! The pop-up flower adds such a nice surprise! Both cards are gorgeous! 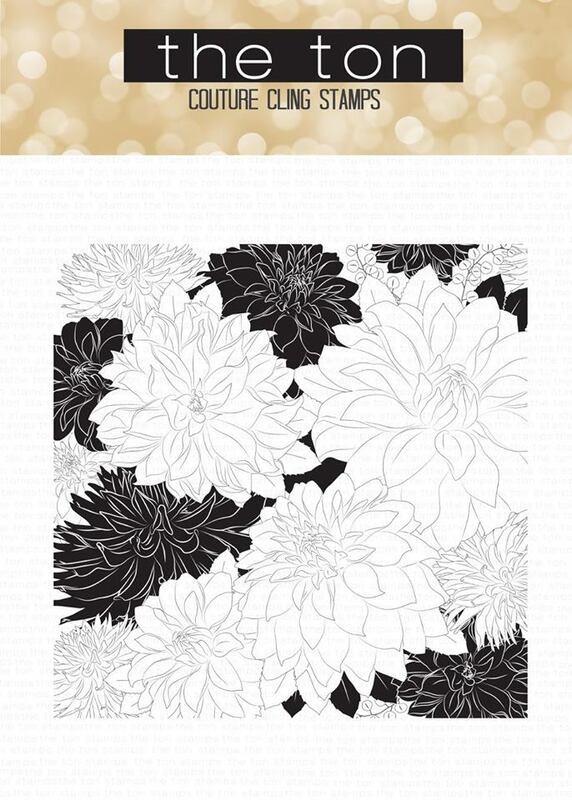 Your coloring is beautiful on the first and did you add coloring to you popup? Thank you for sharing. Love how the front is cut out on the side, but then when you open it, & the flower pops up, it is like being right with the person & handing them a flower. Very gorgeous card! I love both of your cards, but, the pop-up peony card is absolutely amazing. Wow! Your card is simply amazing!!! Fabulous colors!!! 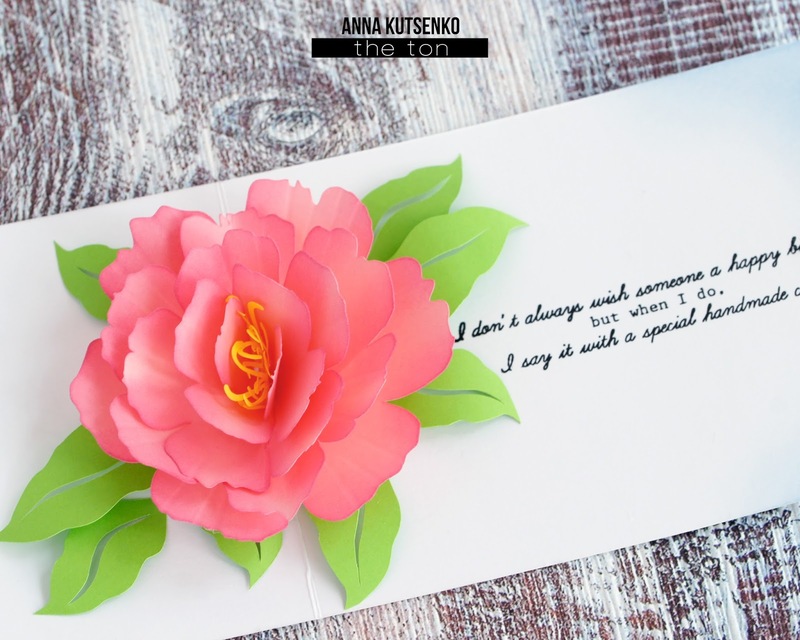 your popup peony card is so fantastic - that die is a "must have!" What gorgeous cards! I'm totally in love with the Peony Laurel. A must have for me!! WOW!! Stunning design!! I LOVE the pop up flower!! Beautiful card and I love how you die cut it. What a beautiful surprise inside with this gorgeous pop up. Great job. Love these. 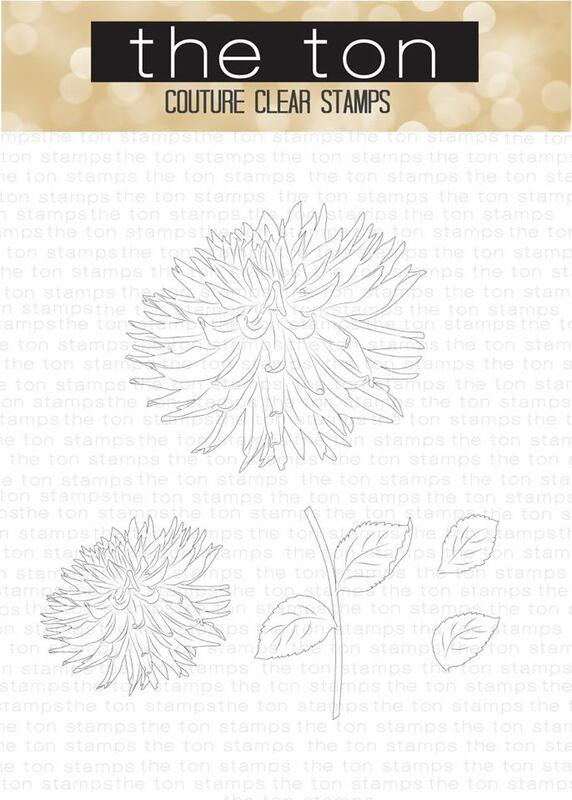 I like that fussy cut swag on the side of your first card and love how the flower pops up in the middle when opened. A nice surprise for the recipient. So cool! :) I love the pop up flower on the inside. It adds so much to the card. Great job! Gorgeous cards 😍 Love the popup peony!!! So pretty and love the pop up. That’s such a gorgeous card !! Gorgeous cards! Love the pop-up peony! Love the flower on the inside! So pretty! © BBEPXdnomBimBom | All rights reserved.